Cleanlogic Bath & Body Care's Green Collection was recently launched, debuting a 13-product eco-friendly line. I was able to try two of the Cleanlogic Green products and was pleased with the results. This product proved to be very useful with its two unique sides. 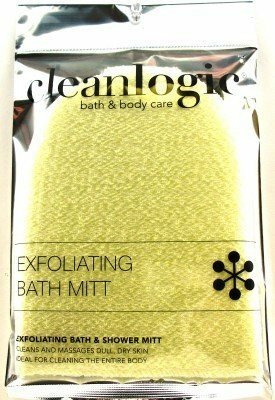 The loofah side gently exfoliates your skin, while the looped mesh side cleanses your skin, leaving it soft to the touch. As a person with dry, sensitive skin, I found the loofah side to have the perfect combination of softness and smoothness. It's not too rough, but it's just rough enough to get the job done. The mesh side is very soft on the skin and creates a rich lather with just a bit of body wash. 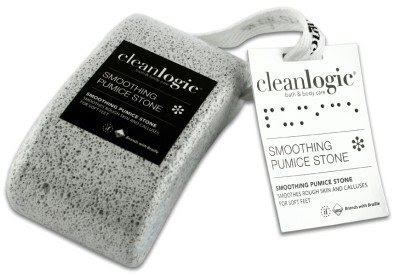 I also found the Cleanlogic-branded stretchy band useful for holding the loofah and pad on my hand as I used it. 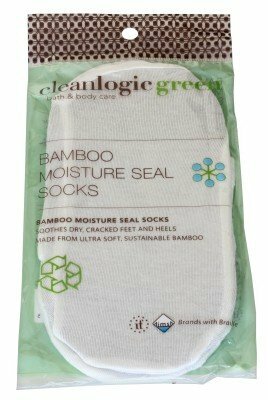 Upon opening the sustainable, natural bamboo socks, I was greeted with a very pleasant, refreshing scent. After massaging a generous amount of lotion onto my feet, I slipped the socks on to find a smooth, comfortable fit. Unlike normal socks, these felt soft and almost silky. I kept them on overnight, as the socks sealed in the moisture, and when I took them off in the morning, my feet, indeed, felt a bit smoother than they had before. These socks are perfect for the winter season when skin tends to get very dry and feet and heels begin to crack. 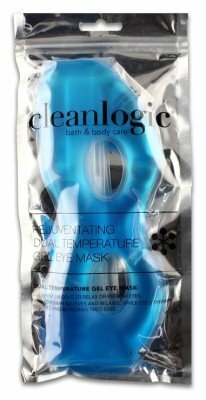 Lucky for you, College Gloss has teamed up with Cleanlogic to give one reader three amazing products: the Exfoliating Bath Mitt, Rejuvenating Dual Temperature Gel Eye Mask and Soothing Pumice Stone. All you have to do to enter is "like" College Gloss on Facebook and comment below with your name and email address. A brand by IMS Trading, Cleanlogic is known for its public commitment to educating consumers about the rapidly growing visually impaired community, and also for its dedication to creating products that are accessible to those who live with blindness through its integration of functional Braille on product packaging. Inspired by the experiences of co-founder Isaac Shapiro¹s mother, Bea, who was diagnosed with legal blindness as a young child, a portion of Cleanlogic¹s proceeds are donated to the Inspiration Foundation, Shapiro's nonprofit foundation that benefits the blind and visually impaired community. The launch of Cleanlogic's new Green line is a groundbreaking entry into the world of eco-friendly bath and body care. The 13-product collection offers all of the essentials for a perfect shower experience while still keeping environmental sustainability in mind. The line includes everything from mesh bath sponges and facial buffs to moisture gloves and socks. Materials used for these products include bamboo and ramie plants, synthetic bristles, and natural loofah materials that are grown from the ground. Products within the collection will, of course, be packaged with the brand's signature Braille labels. 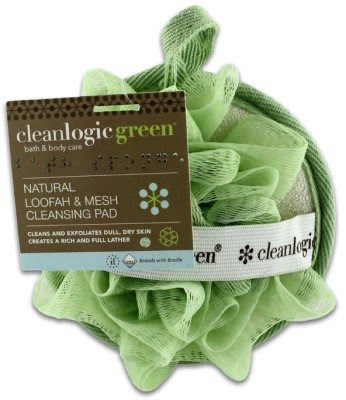 Prices for products in the Cleanlogic Green line range from $1.99 - $5.99 and can be purchased at http://www.clean-logic.com/. 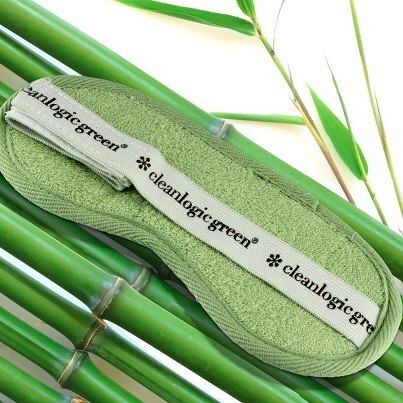 For more information on Cleanlogic Green or to view the collections, visit www.CleanlogicBodyCare.com. How fun! Those bamboo socks are calling my name. Love the eye mask! Thanks for the chance!